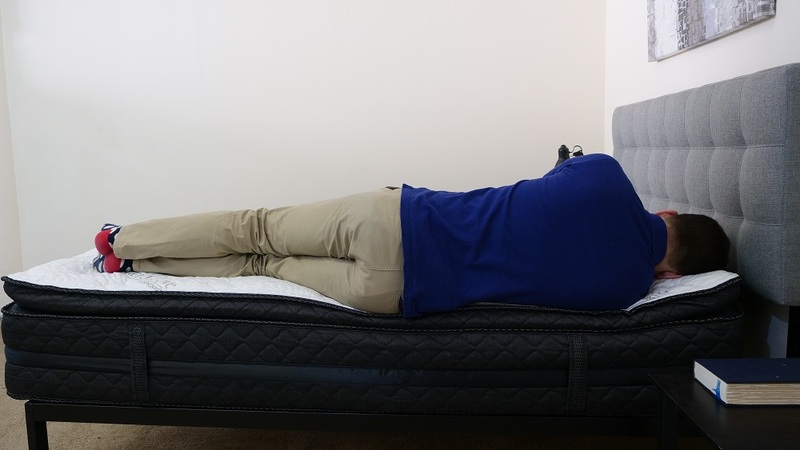 Logan and Cove Mattress Review: Canada's Leading Luxury Mattress? Conceived by Canadian mattress retailer Novosbed, the Logan & Cave is a bed built with both luxury and affordability in mind. 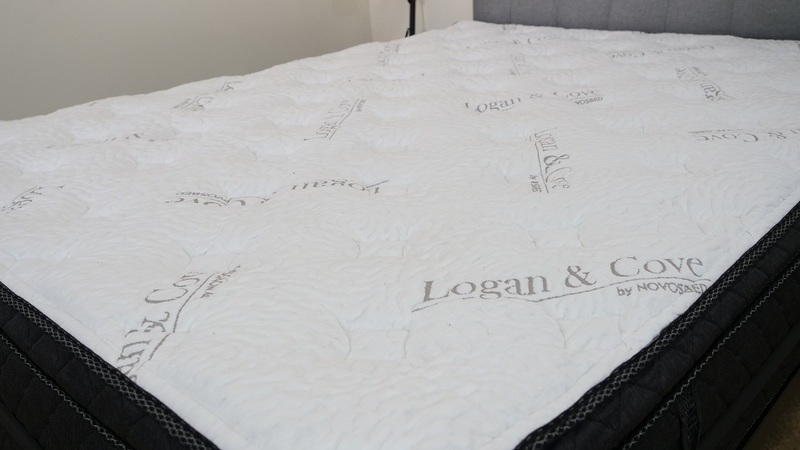 The Logan & Cove is only available in Canada and boasts a hybrid design, which aims to marry plush foam comfort with the bounce of encased coils for a truly well-rounded sleeping experience. But how well does it pull this off? Today, I’ll be putting this mattress to the test to find out just that, examining its firmness, motion transfer and edge support to see if it might be the perfect bed for you. 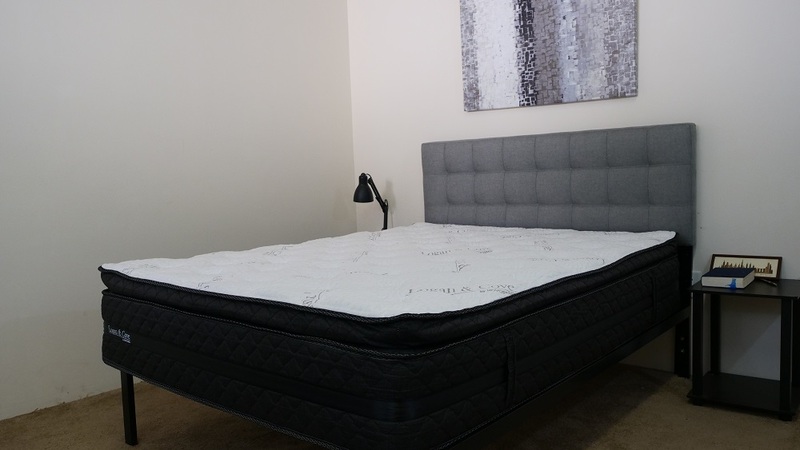 Continue reading below for my full review of the Logan & Cove mattress. Don’t have time to read it all? Click here to skip to the bottom and check out my review summary. The firm support of this mattress makes it an especially good pick for back and stomach sleepers! The Logan & Cove is constructed with five layers of both foam and pocketed coils, stacking up to an impressive 14” of comfort. The mattress sets itself apart from other online-only options with its super defined pillow top, intended to provide the sleeper with immediate pressure relief as soon as they lay on the bed. Given that the pillow top has its own specific construction, I’m going to discuss its specs apart from the main structure of the bed. Now let’s dive into all of these different layers. Cover – The cover is built with the brand’s Natural Eucalyptus Fabric™, composed of polyester, spandex and Tencel, a recycled material made from wood cellulose. The eco-friendly material is not only soft, but great for breathability. Pillow Top – Directly below the cover, you’ll find the Muleva™ Silk Fill Pillow Top. This layer has a silky smooth feel and provides the sleeper with comfort and relief. Contour – Underneath the silk pillow top lies 1″ of Logan & Cove’s EcoLuxe™ Cooling Gel Visco Foam. This material helps to dissipate heat and adds nice support to the plush pillow top. Bounce – And finally you’ll see 1” of contouring Eco Foam. This poly foam produces some quality bounce that helps keep the sleeper from feeling too stuck in the mattress. Transition – The first section of the mattress core is 2” of high-density bio foam. This layer provides cushioned contouring support and helps transition the sleeper from the soft pillow top into the bed’s interior pocketed coil system. It’s got a quick response to pressure, so it’ll help keep the sleeper on top of the bed. Support – The Logan & Cove’s main support layer is comprised of 8” of zoned coils. This section imbues the mattress with quality bounce and helps to lift the sleeper up and out of the bed. I should note that the coils are individually wrapped, which means they’ll not only supply the structure with great airflow, but will also be able to isolate motion exceptionally well. Edge Support – Wrapped around the pocketed coil system is a thick layer of high-density poly foam. This section provides excellent edge support, which means you’ll be able to sleep all the way to the side of the bed. After taking a look at the construction of the Logan & Cove, let’s chat about the firmness and feel. I started off by applying light hand pressure to the mattress and immediately felt the soft pressure relief of the pillow top layer. Pushing onward, I experienced some pleasant bounce from the high-density foams and individually wrapped coils, which lifted me up and out of the bed. I personally gave the mattress a 7.5/10, finding it to be on the firmer side. The bed features sturdy edge support and great bounce, which will make you feel like you’re sleeping on top of the bed as opposed to in it. That being said, I’d definitely recommend this bed to back and stomach sleepers who will benefit most from its firm support. Now let’s talk about pressure. Depending on how you sleep, you’re going to feel pressure points form in different ways. 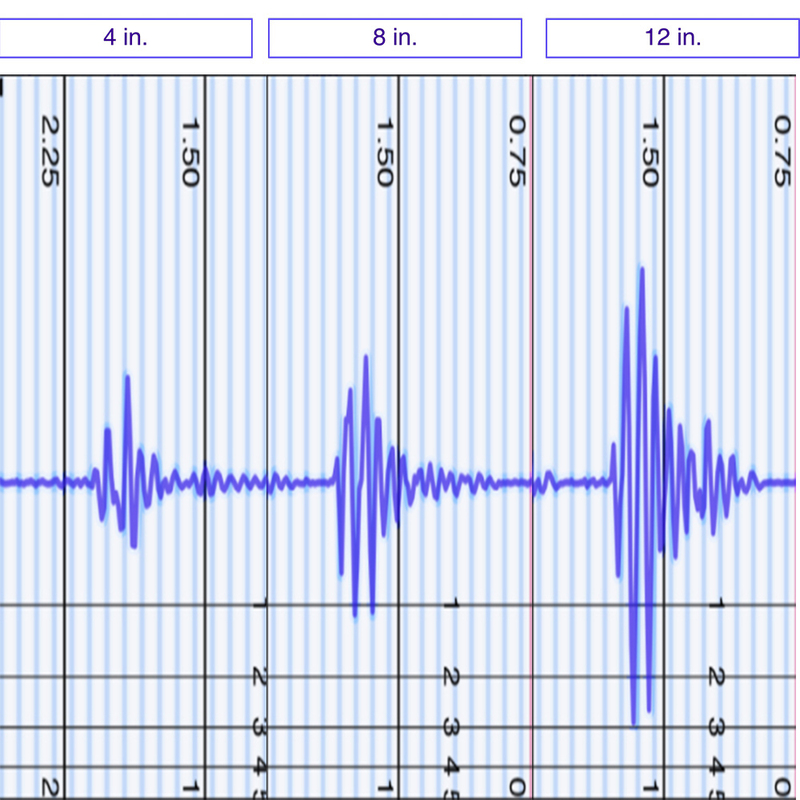 To give you a sense of where this tension might arise with the Logan & Cove, I placed a pressure map on top of the mattress and lied on my back, side and stomach. The results below indicate where the pressure formed, from blue (low) all the way to red (high). Back – I felt considerable pressure relief in this position. The soft pillow top did an awesome job of filling in the space at my lumbar region and the pocketed coils kept my spine in a nice alignment. I should note that it was very easy to roll around and change positions. Side – Rolling onto my side, I also felt great relief. As you can see in the graphic above, the soft foam top layers did a good job of alleviating pressure at my shoulders and hips, typical problem areas for side sleepers. While this bed may be a bit firm for people who doze exclusively on their sides, it shouldn’t make you feel too uncomfortable. Stomach – On my stomach, I continued to feel wonderful pressure relief from this bed. The high-density foams combined with the pocketed coil system kept my hips from sinking into the mattress, which is great for stomach sleepers. If you plan on sharing your bed with a partner, you’ll want to know what it’ll feel like when the other person crawls out of bed in the morning or tosses around at night. This next test is intended to demonstrate the intensity of motion that is detectable from one side of the mattress to the other. As you can see in the graphic above, these are pretty amazing motion transfer results. Not only do the high-density foams dissipate movement across the surface of the mattress, but the individually wrapped coils help to further isolate motion in the bed’s interior. Given these strong results, I’d say the Logan & Cove would make a great bed for couples, especially those made up of people who sleep in different positions. 100 lb medicine ball: 5.5 inches of sinkage. What these results tell me is that most of the sinking is going to come directly from the pillow top layer, which is why the 6 and 10 lb. balls showed higher than average sinkage rates for a hybrid. 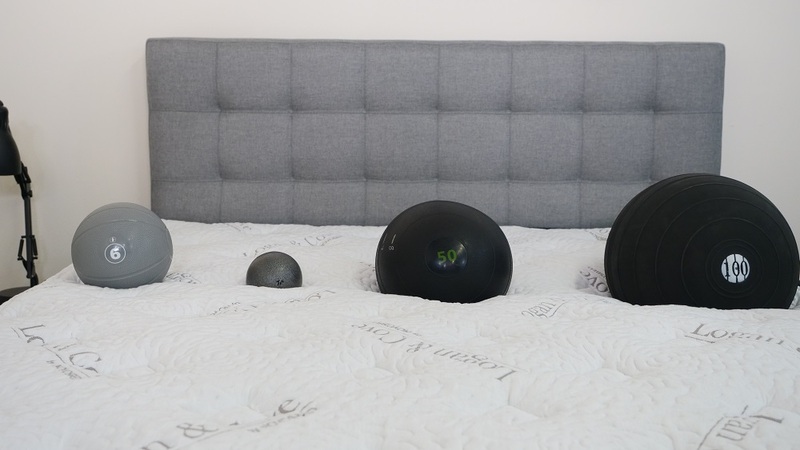 With the heavier balls, we can see that they pretty much stopped sinking once they made their way through the pillow top, which means that heavier body parts are going to be well supported by the bed’s high-density foams and pocketed coil system. If you’re going to share your bed with a partner and need to use the entire surface area of the mattress, it’s going to be crucial for you to consider the amount of edge support it’ll provide. Lying on my back near the edge of the bed, I felt as supported as I did in the center. As you can see in the image above, there was hardly any compression in this position, with the materials in the core working to keep me feeling secure and lifted on top of the bed. This excellent edge support continued once I rolled onto my side. While the pillow top did a good job of contouring to the curves of my body, the high-density foam and pocketed coils helped to prevent too much compression. It was easy to move around in this position and I never felt like i’d roll out of the bed. In this position, I wanted to simulate what it would feel like to be sitting on the bed in the morning when you’re lacing up your shoes and getting ready for the day. A lot of foam mattresses experience severe compression in this position, but the Logan & Cove held up exceedingly well. Shipping: Free and arrives compressed in a box. If you’re convinced the Logan & Cove is the right mattress for you, the size and pricing information for the mattress are below. IS THE LOGAN & COVE MATTRESS RIGHT FOR YOU? Now that we’ve taken a closer look at the Logan & Cove mattress, it’s time to discuss who it’d be a good fit for. Affordable, luxury feel – If you’re looking for a bed that’s both luxurious and affordable, the Logan & Cove would be a great choice for you as it by no means sacrifices comfort for cost-effectiveness. 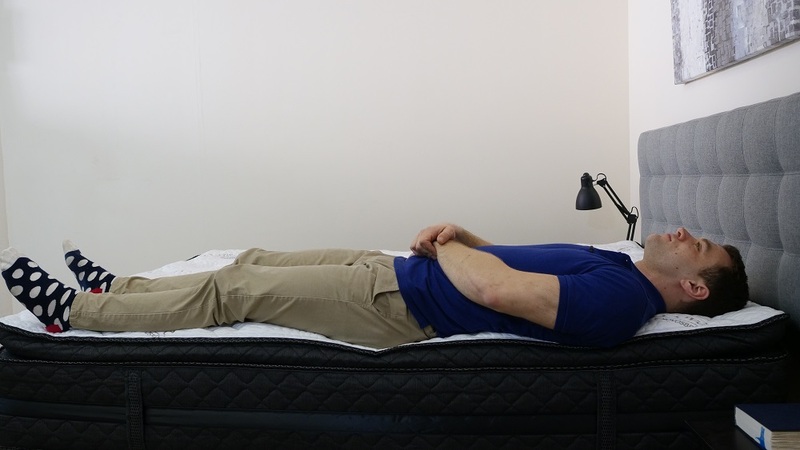 Back and stomach sleepers – As I mentioned above, this is a pretty firm mattress, so would make a great pick for back and stomach sleepers. You won’t experience too much sinkage and the supportive coils will provide you with a pleasant lift. Couples – The Logan & Cove exhibits fantastic motion transfer, which means you’re not likely to be bothered by your partner getting out of bed in the middle of the night for a midnight snack. For more information on the Logan & Cove, check it out here!